Autumn in Scandinavia is often unfairly overlooked for the big-hitting fun of winter and summer. And, that’s fine. 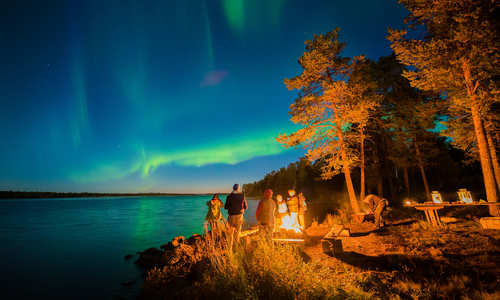 It means that destinations are delightfully uncrowded, prices are lower and summer activities are combined with winter’s greatest visual display – the Northern Lights. But, the season has charms all of its own, something perhaps best showcased in Lapland. Here, great old-growth forests turn a whole kaleidoscope of colours, with maroon reds and burnished yellows picked out against deep browns. 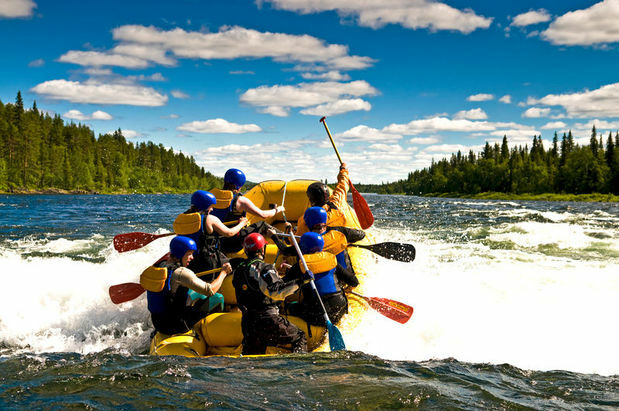 What’s more, thanks to temperate weather, it’s the spectacular backdrop to everything from ranging hikes and bike rides to horse treks, fishing trips and kayak excursions. However, for something truly quintessential, head out foraging with a local guide. 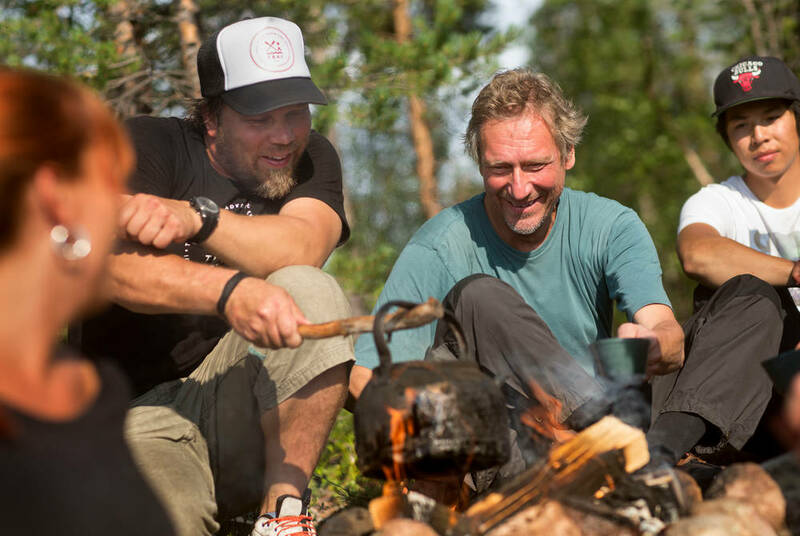 This autumnal tradition will see you search for the likes of mushrooms, lingonberries and even edible flowers before learning how to prepare a feast over an open fire. At the end of it all, return to that most Scandinavian of favourites – the sauna. Then, to match the colours in the trees, it’s a little-known secret that the Northern Lights can be viewed as early as August. In fact, many experts argue that autumn is the best time to spot the aurora, with the late-September equinox bringing about the year’s greatest solar activity to seasonal clear skies. And, as the rivers and lakes are yet to freeze, you might just be lucky enough to catch a glimpse of the lights reflected beautifully in the glassy waters. One of our itineraries even features a lake cruise. 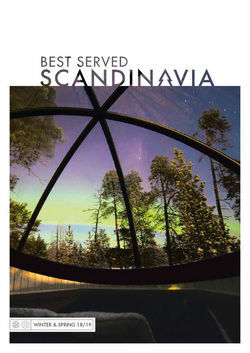 This being Scandinavia, there’s also a full suite of cutting-edge accommodation to take it all in with. Perhaps spend a night in a glass igloo, returning from days spent exploring Finnish Lapland to a motorised bed that tilts to showcase the night’s sky. Or, get away to the Treehotel, whose artsy treehouses range from a mirrored cube to a floating UFO and a bird’s nest. They’re all strung up high in a pine forest that occupies a remote corner of Swedish Lapland – ideal for the aurora. Then, if you’d prefer something even closer to nature, look into glamping in a luxury igloo tent or get away to a traditional fisherman’s cabin on the Lofoten Islands. This cragged Norwegian archipelago rises out of the ocean in a series of kilometre-high peaks, each dappled with lush greenery. Lastly, along with the city-break classics, there are many year-round routes that are ideal in autumn. 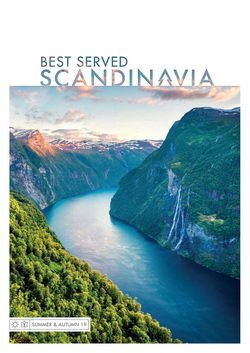 Our favourites start with the Highlights of Norway. Beginning among Oslo’s ultra-modern design scene, a series of impossibly scenic train rides will bring you past ravines, waterfalls and mountain peaks to arrive at historic Bergen – Norway’s second city. Alternatively, look towards north Denmark where idyllic coastal routes knit together pretty fishing villages, century-old lighthouses and artist retreats. It’s all delightfully off the beaten track.